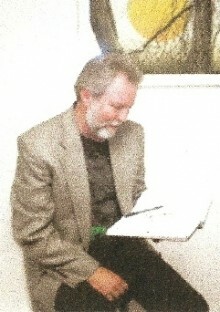 Stephen Godfrey has been writing Poetry and some short stories since 1977. He has a broad experience in life, which is reflected in writing. 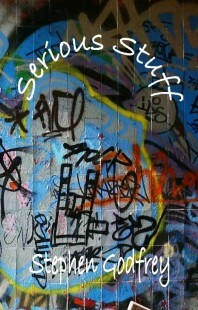 Stephen is a multi-faceted Poet, writing in different Poetic styles. His nick-name, “The Serious Poet,” is attributed to his “writing from the heart.” He has been published in books: Who Took the Flowers and Appalachia’s Last Stand. Stephen has also been published in Poetry Harbor, Silver Wings, Bluestone Review and in Anthologies in the United States and England. Stephen currently resides in the beautiful majestic pine country of southern Georgia. 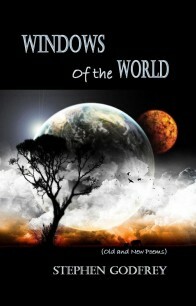 Stephen Godfrey, known as “The Serious Poet,” continues his poetic endeavors with his sixth chapbook with Middle Island Press titled Windows of the World, a collection of thirty of Godfrey’s earlier and newer poems which are viewed through his unique perspectives on life and his timeless experiences. When we know so little. And think we’re fit as a fiddle. And give it all our best. Which road we shall travel. That our lives will unravel. Is the best thing you can do. 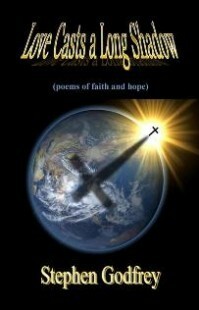 Humbly yet passionately penned, Love Casts a Long Shadow is a collection of twenty-four religious verses in prayer to and in praise of the Son of God, suitable as hymns of devotion, of anticipation of His imminent coming, and of spiritual surrender to what will be. 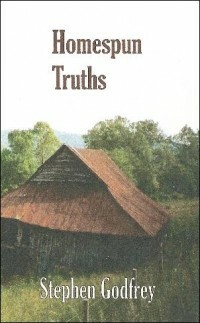 Most suitably titled, Stephen Godfrey’s fourth Middle Island Press chapbook addresses in his straightforward style subjects such as social, environmental and spiritual decay while honoring memories and upholding significant people and events in history–“serious stuff” for serious readers and supporters of Appalachian poets. Shining down upon their heads. Of misery, sorrow and heartache. And were planted in Arlington Cemetery. In Heaven’s Doorsteps, Stephen Godfrey (aka “The Serious Poet” of West Virginia) opens wide his heart as his Christian spirit sweeps and sails on a current of love and devotion, hope and humility. 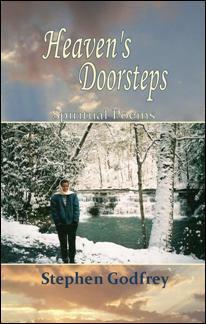 Included are twenty-four verses, hymns and hosannas that invite readers to join him as he follows a path of light that leads, ultimately, to the doorsteps of Heaven. That comes your way today. It’s never here to stay. And follow the one that is true. That will be given to you. His spirit you will receive. Could come to an end at any time. And from life do not resign. If you have walked the line. 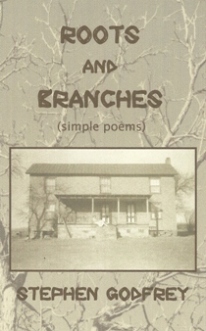 This twenty-five poem collection is a nostalgic medley of sepia memories made vivid through Godfrey’s warm and enthusiastic recollections of “Gramma and Grampa,” out-houses in winter, battles with wasps, “Red Man” and all things country and true to the spirit. Simple ways; the old ways of the mountain people. With hot water heated on a Wood Cooking Stove. With the infamous Sears Catalog. While contemplating the deeper things of life. For hours; talking about whatever pleased. For hours singing beloved Hymns. The faces were all aglow and beaming. It was a time of happiness and completeness. Those days are gone, except in the mind’s eye. The memories linger of a different time and place. Homespun Truths is a mirror of sobering elements that stir the emotions and remind readers how very fleeting life is, and that fate isn’t always benevolent. This 24-poem collection (a true testament of the serious nature of “The Serious Poet”) is one of remembrance, of gloomy coal-mining realities, of social issues, of dread that history repeats itself, and of spiritual faith and humility. Contemplating the deeper things of life. Puking venom out of my ear. Poet, or the essence of cool. soothing my late night dreams. me to sleep night after night. flat beds to selling destinations. Sang me to sleep once again. and I know I am home.